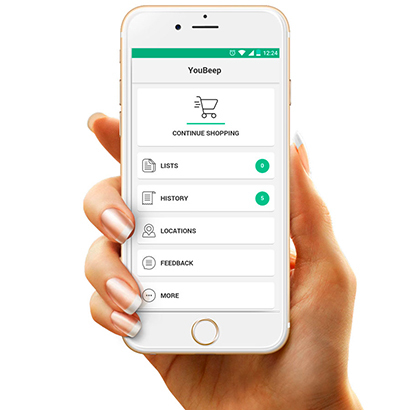 A mobile shopping and checkout solution that reduces checkout time, while enhancing the overall customer shopping experience. Ideal for retailers looking to improve customer satisfaction while also reducing operational costs. Download the app from Apple Store or Google Play Store. Scan the check-in QR Code at the store entrance. Scan the products barcodes before putting them in the basket. Head to the designated checkout and scan the checkout QR Code. Pay using your usual methods and leave. 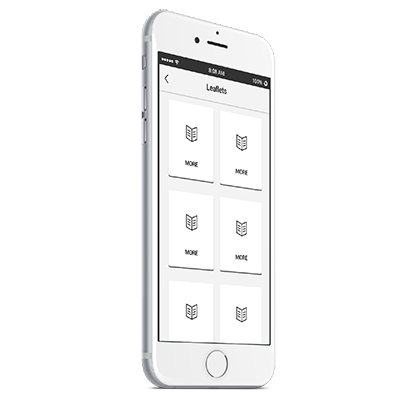 A solution designed with top retailers in mind. 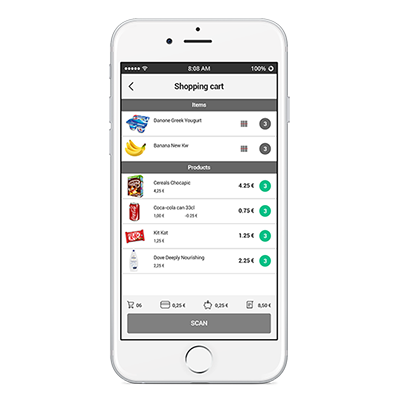 Faster shopping just by scanning products directly from the shelf. Checkout a full cart in under a minute. 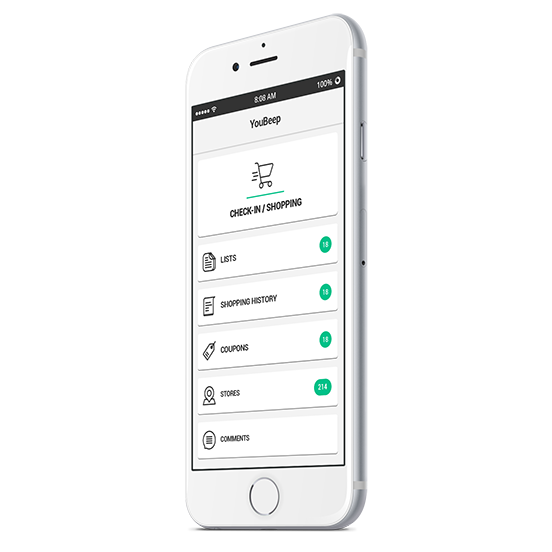 Create, manage and share shopping/wish lists. Scan or search products to add them directly to the list. 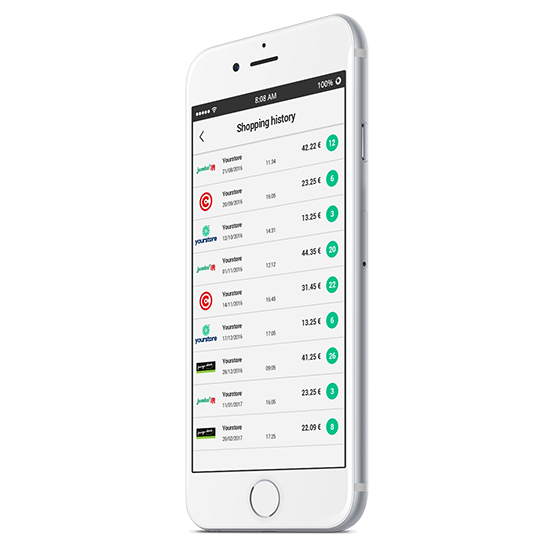 Never lose track of purchase history: e-receipts organized by store and time. Find the nearest store and the best way to get there. 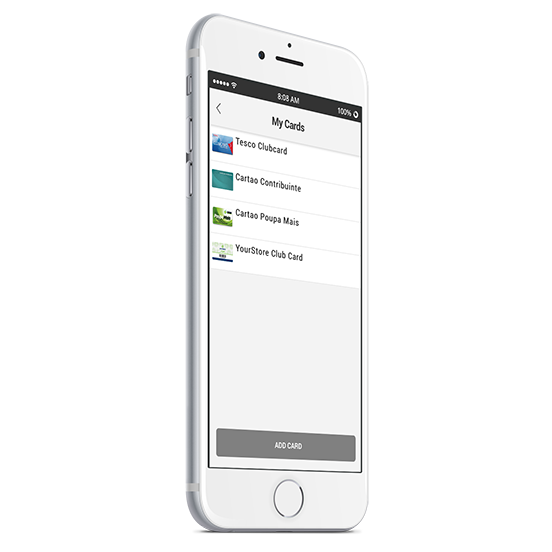 Add loyalty cards and have access to points, rewards and savings. Maximize savings during shopping. Get personalized coupons from retailers and brands. Provide digital payments while keeping legacy systems. Have access to promotional leaflets.